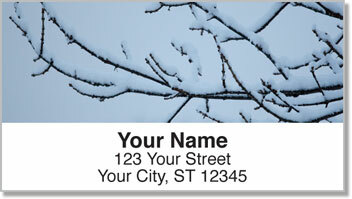 Give your outgoing mail the crisp, clean look of a fresh blanket of snow when you choose these exquisite return address labels. Original photography shows how everything outdoors is transformed when wintry weather sweeps through your neighborhood. So let it snow, because even during the coldest time of the year, nature gives us moments of splendor to enjoy. 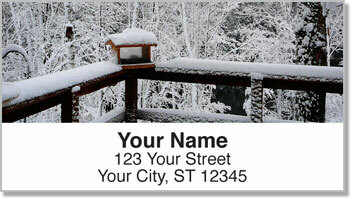 Winter Snow Address Labels from CheckAdvantage will make it easy for you to prepare letters and packages for the post office. Just peel and stick your name and address on every envelope. 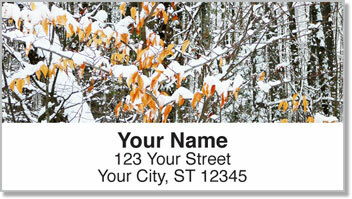 Get your own Winter Snow Address Labels now! 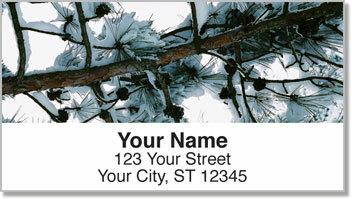 You'll also find this seasonal design available to order as matching personal checks.